March 27–Northern Virginia — HomeAid Northern Virginia, which builds and renovates homeless shelters, transitional houses and other facilities that help homeless people, announced the completion of two renovations that will enable previously-homeless families to have new, safe and comfortable places to live. The $13,600 in renovations enables shelter care providers to channel their funds into what matters most—ending homelessness. Conversion of a townhome for Vint Hill Transitional Housing. HomeAid arranged for Brookfield Homes to convert an empty townhouse in need of serious repairs into a home for a mother and her three daughters, all under age 11. The townhome had been used for storage for the past 11 years, but was renovated so that at family could live in it. The $7,500 in renovations involved updating the bathrooms and kitchen, replacing the washer and dryer, repairing drywall and repainting throughout, installing new flooring and carpeting and updating light fixtures. Townhouse renovation for Reston Interfaith. Over the last five years, HomeAid has worked to renovate five of Reston Interfaith Housing Corporation’s 47 townhouses, all of which are rented to families and individuals who earn half or less than half of the area median income. The most recently completed project, managed by CarrHomes, involved the renovation of a two-bedroom unit, with work encompassing nearly all aspects of the home, including exterior siding repairs, replacement and painting; interior painting; electrical repairs and upgrades; carpet cleaning; and bathroom repairs. The total value of the project is approximately $6,100. HomeAid is currently managing a 4,000 sq. ft. expansion of the Northern Virginia Family Service’s (NVFS) Family Care Shelter, located at the SERVE campus in Manassas and will begin the renovation of eight studio apartments for Volunteers of America in Loudon County this spring. For more information about these projects and to find out how to get involved in future renovations, visit www.homeaidnova.org or contact Christy Eaton, executive director, ceaton@nvbia.com. HomeAid Northern Virginia leverages the resources of the homebuilding community and its corporate partners to conduct major renovations to homeless shelters, transitional houses, food banks, medical clinics, counseling centers, and other facilities that help homeless people gain stability and a roof over their heads. 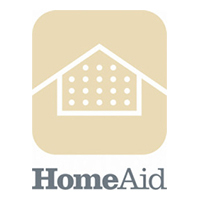 HomeAid’s partners and resources help to significantly reduce the construction costs to care provider organizations, thereby allowing them redirect those dollars back into programs and services for these homeless families and individuals. HomeAid Northern Virginia was started in 2001 by the members of the Northern Virginia Building Industry Association (NVBIA), and since then has completed more than 67 projects valued at more than $10 million. 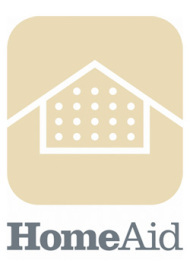 HomeAid Northern Virginia is a chapter of HomeAid America.